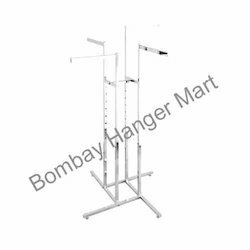 We are a renowned manufacturers and exporters of garment display, garment double display rack, garment single display rack, garment display stand, which are highly appreciated for their lightweight, excellent polish, easy to move, scratch-proof surface, durability, and impeccable finish. These are available for displaying any kind clothing. 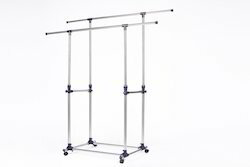 We offer garment double display rack that are made with high grade steel and are easy to move from one place to another. 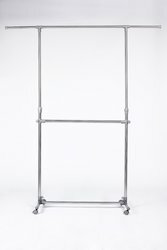 The sleek and aesthetically designed rack stand provide a makeover to the boutiques and retails stores for displaying garments. These are also available in customized forms as required by our clients. 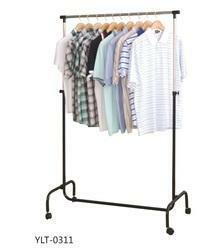 We offer a wide range of garment single display rack to our clients. Available in a variety of patterns and sizes, these are known for dimensional accuracy, durability and versatile applications. Our clients can avail these at competitive prices. 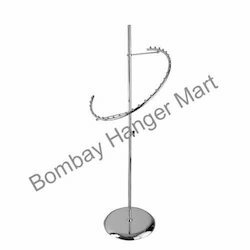 Our company is manufacturing and exporting a variety of hangers for Garment Display in shops, malls or other exhibitions. They are available in different sizes and designs in order to showcase garments in a perfect way so that onlookers would easily understand their sizes. 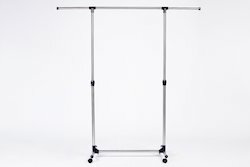 We are using high quality material and advanced technology to manufacture such hangers for Garment Display. 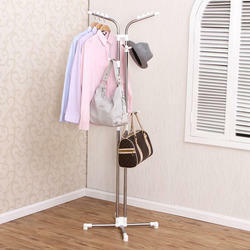 The Four Way Garment Stand specially designed to give maximum display of garments. The chrome finish is as good as a mirror. 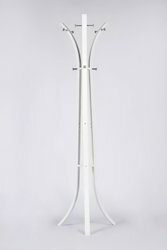 The four arms can be adjusted as per your requirement . Used for display of a variety of garments at different levels to show all variation and color chrome finish.